Hello friends. As promised, I wanted to feature our local schools so that parents can hear from other parents in our community. Thank you to a friend of mine, Aimee Olivio who spent time writing up something about our local school, Gladys Noon Spellman Elementary- located right in Cheverly. Spellman is a great public school option and many parents in our community have contributed to that. Unfortunately the principal is leaving and the job search is on for her replacement. Please spread the word! (I’ve included more info on this below) If Spellman looks like a good option for your family, make plans now to attend a meeting at Aimee’s house on Feb 7th where you can meet other Spellman parents and the PTA President. Again, info is below. Thanks Aimee for this wonderful ‘blurb’ about our local school. Before we moved to Cheverly, I had heard negative things about the Prince George’s Public School system. When we started looking at houses in Cheverly, I had already calculated tuition at St. Ambrose School as parishioners with three kids even though we weren’t even pregnant with our first yet. During our first few months and years in town, we fell more and more in love with our community and realized what an incredible community Cheverly is. But I’ll never forget the day I was at Cheese Park pushing my infant son in a baby swing. Another mother and I were chatting and the conversation came around to schools. 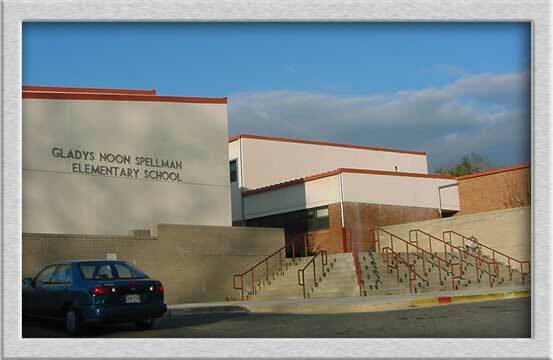 She said to me that our neighborhood public school—Gladys Noon Spellman Elementary—just wasn’t an option. I looked at the boundaries (link: http://gis.pgcps.org/Gmap_Boundary/) for Spellman, the very large majority of which are Cheverly. I just couldn’t reconcile the two things in my mind. The majority of the kids attending Spellman are from Cheverly, an incredible community. Yet, that other parent (and by then many others in the community) were telling me that it wasn’t a good school option. In the spring of 2007, a group of other Cheverly parents and I gathered in a neighbor’s home. We all had young children. I think one or two people had very early elementary school kids. The rest of us had children ranging from in-utero to toddler. We asked ourselves two questions. One, Is Spellman really that bad? And, two, if it is, What are we going to do about it? Within a few months, we had formed Cheverly Advocates for Public Schools (CAPS) and began working to engage the local community in the success of our schools and to encourage families to opt in to our schools instead of out of them. In 2008, there was a principal change at Spellman. This had nothing to do with CAPS, by the way, but the Cheverly community, led by CAPS members, welcomed and embraced Mrs. Susan Holiday and likewise she embraced the community back. Prior to the first day of school, Mrs. Holiday, along with her husband and young sons, joined with members of the Cheverly community to clean up and beautify the grounds at Spellman. The bottom line is that Gladys Noon Spellman is Cheverly’s elementary school. When parents and the greater Cheverly community embrace, engage in and send their children to the school, our children and entire community reap the benefits. As often happens for those with incredible talent, Spellman Elementary School Principal Susan Holiday has been promoted to an exciting new position within PGCPS. Those of us who know and have worked with Ms. Holiday over the past 7 years, and of course the students of Spellman Elementary, will miss her greatly. She truly has been an incredible force for positive change at our neighborhood public elementary school. The transition process is moving quickly, and Ms. Holiday will likely move on sometime within the next few months, but not before a new principal is hired and on board. Whether or not you have a child at Spellman, as a member of the Cheverly community you can play a valuable role in helping to ensure that Spellman Elementary gets the best possible candidate for its new principal. The quality of our neighborhood public school impacts the desirability of our community and our property values, so this issue concerns all of us. Share your thoughts at a community meeting hosted by the PGCPS Talent Development Office on Thursday, February 5 at 6:30 p.m. at Gladys Noon Spellman Elementary School. All are welcome and encouraged to participate in this interactive forum. In addition, please join us at the Spellman Parent Perspectives breakfast on Saturday, February 7, where this will certainly be a topic of conversation (though not the only topic!) You are also welcome to contact me personally with any questions or input that you would like to feed into the process. With everyone doing their part to influence the process, we can help to ensure that Cheverly’s neighborhood public elementary school gets the top-notch principal that we and our kids deserve. Next Post Plans Friday Night?